Ulp. 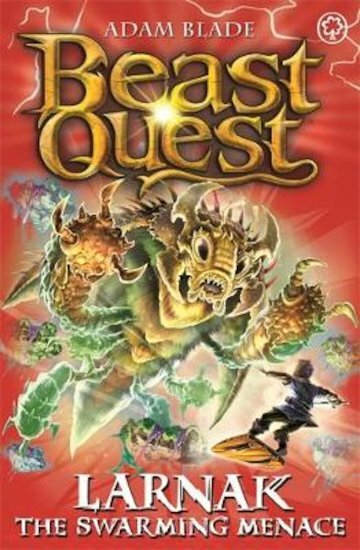 Is nothing ever simple in the dangerous world of Beast Quest? Nope – of course not! Mighty battles are where it’s at! Now Tom and Elenna’s pirate enemy, Ria, is back with a deadly new plot to seize the kingdom of Makai. Oh – and she’s brought some mean old Beasts along to help! Larnak the giant locust is trying to help Ria take over the magical Elixir Wells. Tom and Elena must stop him. But with three other deadly Beasts to contend with, how will they fight back?